A Nigerian comedian who calls himself Senator MC Tagwaye has been gained popularity for looking and speaking exactly like President Buhari. The comedian who is from Kastina state does his mimic of the president so perfectly that he is invited to shows to "represent" the president. 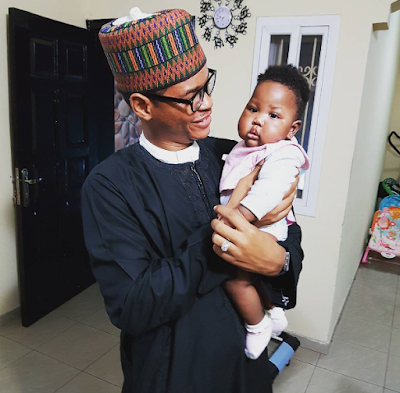 The 'President' visited comedian, Seyi Law at his home to pay a visit to his daughter, Tiwa. An 'excited' Seyi Law took to his IG page to share the wonderful news, lol. "Thanks for the visit your excellency". "A special meeting with the President. He came for consultation and it was a great time".